The end of the winter exam period could not come soon enough for college basketball fans. Yes, we know that it’s important for the kids to take care of their academics, but even the most fervent of followers would have to admit they could only take so many more nights of Bryant being featured in the headline contest of the evening. Nothing against the Bulldogs and their tidy 6-5 start, but this weekend’s spate of entertaining match-ups should help us all regain a little sanity Last night’s Hawkeye State battle served as a worthy appetizer for Saturday’s feast of action, but before you grab the remote and plop down in the front row seat in your living room, check out these four storylines to monitor on Saturday. It may be hard to believe now, but public perception of Arizona and Michigan was pretty comparable at the start of the year. Needless to say, that is no longer the case. The Wildcats, now also known as the #1 team in the land, get a shot at validating that ranking when they visit Ann Arbor today (12:00 EST, CBS), while the floundering Wolverines will seek to redirect the trajectory of their season. Wins over the #1 team in the country have a way of curing a lot of ills, but it will take a yet-to-be-seen vigor for Michigan to earn that antidote, even on their home floor. Mitch McGary and Jordan Morgan will clash with Aaron Gordon and the rest of that vaunted Arizona front line down low, but keep an eye on the battle of the Ni(c)ks. We saw against Duke how crippling a subpar night from Nik Stauskas can be for the Wolverines; if Nick Johnson’s rep as one of the best stoppers out West carries weight in Ann Arbor, Michigan may again find themselves searching for other scoring outlets. For Michigan, Saturday is an opportunity to prove that the Wolverines still might be who we thought they were; for the Cats, it’s another chance to show us that they are exactly who we think they are. Chane Behanan has been worth the headache he has caused coach Rick Pitino and the entire Louisville fan base in his two-plus years with the Cardinals, according to Tim Sullivan. From all of Behanan’s indefinite suspensions and 2012 Final Four ring circus, he’s normally the one on the receiving end of Pitino’s scorn. That wasn’t the case, however, following the Cards easy victory over UMKC Wednesday night. Pitino said he thought Behanan was the only Cardinal who played well, dominating the glass to finish with a double-double, all in only 19 minutes. Behanan will play a key role, good or bad, on how the Cards fair defending their national title. At this pace, it’s only a matter of time before he makes his way into the starting lineup. Connecticut has already been involved in four nail-biting affairs and if the Huskies aren’t careful, they will find themselves in another tonight, according to coach Kevin Ollie. Coming off the buzzer-beating win against Florida, Ollie said the team has to prepare for tonight’s game like it’s Florida all over again. The opponent is not Florida, it’s Maine. One-win Maine. But Ollie’s point is well-taken, since three of those close calls for UConn came against opponents who found themselves on the wrong end of blowouts in the ACC/Big Ten Challenge (Boston College, Indiana and Maryland). The Huskies may be undefeated and on the verge of a top-10 ranking, but Ollie warned his players about becoming drunk off of success. Stay sober boys. Needing someone to step up down the stretch in the Big Five game against St. Joseph’s, Temple’s Anthony Lee and Will Cummings did just that, helping the Owls secure a solid win and continue the mini-hot streak the team has suddenly found itself in. After opening with a win against Penn, the Owls lost three straight, two of which were close down the stretch and with Temple needing someone to step up and pull them through. It didn’t happen then, but it has since in three consecutive wins. Another good match up looms tomorrow with Texas coming to town. To stay on a roll, the Owls will need Lee and Cummings to continue their solid late game play to go along with steady Dalton Pepper. When basketball fans think of this year’s Cincinnati team, it’s doubtful the names Ge’Lawn Guyn and Troy Caupain come up first. But those two played top-level basketball Wednesday night in the Bearcats’ victory against South Carolina Upstate. Coach Mick Cronin wasn’t surprised by the production — a combined 30 points, six assists, and only two turnovers — because the two have talent. For the Bearcats to be able to apply the defensive pressure all season Cronin wants, he’ll have to see this type of production from Guyn and Caupain on a regular basis to help build depth. The impending snow storm for the Cincinnati area will have no effect on the Bearcats’ travel plans to New Mexico, where the team will no doubt face its toughest test to date on the young season. Coach Mick Cronin said the team was already scheduled to leave yesterday afternoon because of the time and altitude difference in New Mexico. The Bearcats will get a practice in today to prepare for the match up set for 4:05 PM Cincinnati time. It’s the start of an important three-game stretch which also includes the Crosstown Shootout (or whatever the politically correct name for the rivalry is now) and a neutral tilt with former Big East foe Pittsburgh. After those games and a home match up with Nebraska at the end of the month, the Bearcats will know where they stand heading into AAC play. There is little doubt that the 2011 Crosstown Shootout changed the Xavier-Cincinnati rivalry forever. For starters, there’s the fact that the Crosstown Shootout doesn’t even exist anymore. The Crosstown Classic is the new handle for the annual encounter between the two kings of the Queen City’s college basketball scene, but the revised moniker is far from the only amendment to come out of the ugly brawl. After alternating between Xavier and Cincinnati’s home courts for 22 years prior to and including the 2011 game, last year’s edition took place on neutral hardwood at downtown’s U.S. Bank Arena. That arrangement remains in effect again this winter, as the two schools will renew pleasantries on December 14. 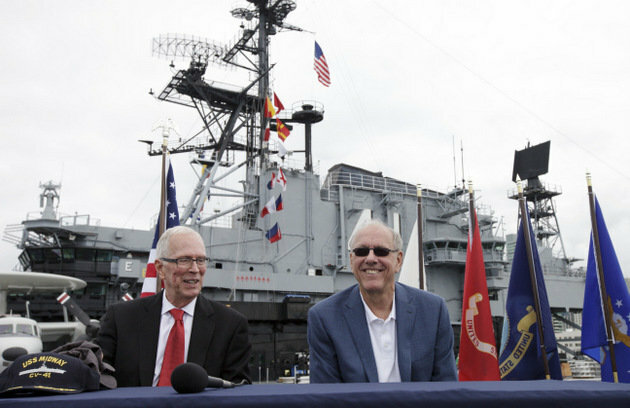 In the immediate aftermath of the brawl there had been some voices calling for an end, at least temporarily, to the rivalry, but the two administrations let cooler heads prevail and settled on this two-year neutral site plan instead. No long-term strategy was formed at the time, and reports released yesterday indicate that the wait-and-see approach is still in effect, as school officials have yet to reach a conclusion on where the rivalry will continue in 2014 and beyond. The only question does appear to be where, however; two years removed from the incident, both sides sound committed to ensuring that the rivalry rolls on. The latter is certainly great news, and while the patience and sensitivity surrounding this situation is understandable in many regards, two years of reflection will have been plenty long enough — it’s time to bring this game back to campus. The Bearcats-Musketeers series dates all the way back to 1927, with the annual meeting having gone uninterrupted from 1946 to the present. Many of those encounters took place on neutral courts, including the three interesting seasons (1987-89) when the two schools actually shared a home court. So, taking the “Classic” (that just doesn’t sound right) away from campus was hardly unprecedented in the rivalry, but that doesn’t mean it should stay there. If we are speaking generally, college basketball as a whole derives much of its identity from the energy and enthusiasm of the sport’s on-campus homes. Rabid student populations and nuanced arenas deliver an experience unlike any you will find at an NBA arena. So why take one of the game’s premier rivalries away from that setting and into an approximated NBA facility? The answer, as it pertains to this year and last, is quite obvious, of course, but muting the emotions of this rivalry is only fair for so long. The Crosstown Classic has long been a highlight of the Cincinnati sporting calendar. If the series is going to continue, there is no reason why it shouldn’t carry on in all its glory. It appears that the ramifications from last December’s bench-clearing brawl are extending several years into the Cincinnati–Xavier rivalry’s future. The longtime city rivalry previously known as the “Crosstown Shootout” is returning next season, but with several new stipulations. Thursday it was announced that the game has been renamed the “Skyline Chili Crosstown Classic,” and that it will continue only temporarily for two more seasons. The U.S. Bank Arena in downtown Cincinnati will host the games rather than the on-campus arenas of either Cincinnati or Xavier. Everything about the matchup from the venue to the official logo is changing as both schools seek to erase the memories of last season’s vicious scuffle that left eight total players suspended. Is this rivalry just too intense for its universities to handle? It appears that way as the schools don’t seem to trust their players and fans to keep things under control going forward. While it’s great that the game will continue, the message sent by the schools is that they fear the worst when these teams will tip off next season. Given the recent diminishing spirit of cross-conference rivalries in the sport, it’s unfortunate that one of the most vibrant and longstanding showdowns is getting watered down after one incident. 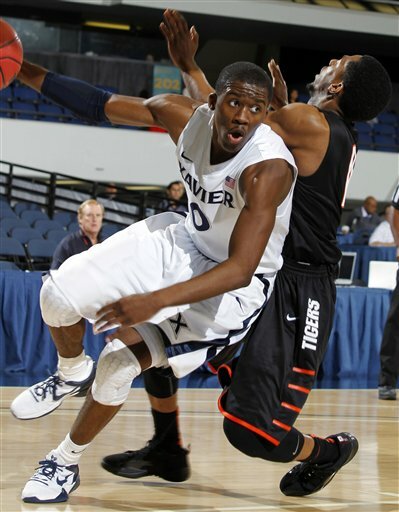 Last season’s brawl between the two teams on December 10 was the low point of the college hoops season, as Xavier center Kenny Frease was left bloody after a Yancy Gates (UC center) punch resulting from an on-court scuffle involving several other players at the very end of a Xavier blowout victory. But the schools didn’t feel so strongly about the negative impact then as the longest suspension coming out of the brawl was a six-game ban for Gates’ vicious punch. The Cincinnati star forward was back before the Bearcats played another meaningful game and everything returned to normal. Both the Musketeers and Bearcats had terrific late-season runs that resulted in Sweet Sixteen appearances during the NCAA Tournament. It’s almost as if the brawl eventually led to newfound camaraderie within each squad (especially Cincinnati) and that the teams had learned the lessons of their massive mistake. You’re probably reading this post approximately 8-12 hours after textapocalypse went into effect in college basketball last night. As the midnight bell tolled, a new NCAA rule went into effect allowing coaches to bombard high school sophomores and above with as many phone calls and text messages that they can muster. You might recall that one of the very first posts on this venerable site back in 2007 suggested that the NCAA’s decision to ban text messages in light of news that Billy Gillispie (then at Kentucky) was knocking out 8,000 messages a month was a good idea. Even in those short five years, how people communicate with one another has changed significantly (texting has essentially replaced phone calls between young people), but that doesn’t mean that middle-aged coaches will do any better with it now than they did then. One thing is certain — with social media like Twitter and Facebook today existing side-by-side texts on everyone’s smart phone, there’s bound to be lots of texting hilarity that will ensue from just the auto-correct function alone. Cincinnati and Xavier decided on Thursday that all the on-court fun the players have had at the Crosstown Shootout (now re-branded as the Crosstown Classic – lolz) in recent years shouldn’t be limited to the student-athletes punching each other on the floor. With the choice to move the game to a neutral site downtown and tickets split down the middle, this two-year move will allow fans to get in zip each other up while enjoying the game from the stands. Look, we understand the logic behind moving the game away from home sites where the vitriol heaved upon the visiting team produces a volatile situation, but is college basketball turning into a sport where only games at neutral sites are those worth having? Between the Kentucky-Indiana ridiculousness and now this, we have to wonder if the sport is losing one of the very things that makes it special (home-and-home rivalry games). What’s next — Duke and Carolina on a Charlotte/Greensboro/Raleigh rotation? It didn’t take long for former Nebraska head coach Doc Sadler to find a landing spot. Kansas announced on Thursday that Sadler, who has a 149-107 record as a Division I head coach, would take over as the Jayhawks’ Director of Basketball Operations. He replaces Barry Hinson, who left KU after the season to become the new head coach at Southern Illinois. Sadler continues a trend of high-major college coaches keeping their name fresh in the industry by taking assistant positions when they come available. For example, former Arkansas head coach John Pelphrey is currently an assistant at Florida, biding his time until another choice job comes available and an AD is willing to take another chance on him. Speaking of the Gator program, Florida fans received some excellent news on Thursday when Virginia Tech forward Dorian Finney-Smith announced that he would transfer to Gainesville in light of Seth Greenberg’s firing. Finney-Smith joins Damontre Harris as transfers heading south to play for Billy Donovan, giving the two-time national champion head coach a leg up already on his 2013-14 roster. The 6’8″ player averaged 7/7 last year in 30 minutes per game for Virginia Tech, but he clearly needs to spend the off year working on shot selection (33.2%) and bulking up. Finney-Smith is already an elite per-minute rebounder, but with another 30 pounds on his frame he could easily average double figure boards in two years for the Gators. The biggest knock on Bruce Weber at Illinois was his recruiting (or lack thereof), especially in the talent-rich Chicago area. As the new head coach at Kansas State, he faces a more difficult recruiting situation in that the nearest major city is Kansas City, a town not exactly known for its prep basketball talent in the same sense as the Windy City. As a result, Weber went on record Thursday stating that he plans to branch out to more places, even as many as all places. Well, except the West Coast. Weber said during a Big 12 coaches’ teleconference that he wants to recruit the Midwest, Texas, the East Coast, and of course, Chicago. All we can think is that Illinois fans must be snickering in their cereal this morning. 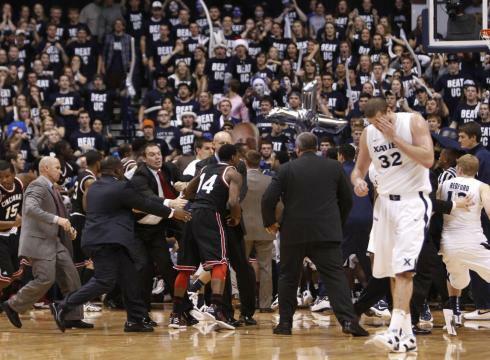 Xavier Doles Out Punishment For The Crosstown Shootout Brawl To… Its Student Section? Like most college basketball fans we recoiled at the scenes from this year’s Crosstown Shootout where what should have been an easy Xavier win over Cincinnati quickly turned into one of the uglier on-court incidents in college basketball history. As we noted in a post the following day, while the incident was unfortunate it was blown out of proportion to a degree by a media and fan base that wants rivalries to be all-consuming, but acts shocked when that passion boils over and we get an ugly incident like what happened four weeks ago. In the aftermath, there was quite a bit of criticism by various observers directed at both sides with the attention focused primarily on Cincinnati for its on-court actions and Xavier for its off-court actions. Suspensions for the involved players ranged from one to six games with Cincinnati coach Mick Cronin saying that his players would not return even after their suspensions were complete unless he felt that they had proven to him that they understood what they had done was wrong. While some media members and fans questioned the relatively short suspensions, eventually most commended both programs for taking some responsibility for what happened. One group that was largely left out of the conversation were the fans at the game in particular the student sections that have been known to get a little rowdy at times (a quality that is not unique to these schools). As a society, we tend to laugh off the majority of the comments and actions of members of the student section as humorous or merely immature. The only times where we take aim at student sections are when they pose a physical threat to the opposition or cross some line defined by societal mores such as racist or homophobic taunts. Typically these actions are met with either a verbal reprimand or a glare of disapproval from authority figures. The administration at Xavier apparently feels differently as they sent out a letter today stating that due to the actions of the student section during the Cincinnati game that included “unacceptable chanting, verbal expletives, and objects being thrown onto the arena floor” those who were seated in that area would not be allowed to receive any more tickets to men’s basketball games this season unless they attended one of three one-hour long “reflection sessions” being offered on-campus between 7 and 8 PM on January 8, 9, and 10. In a recent interview with a local radio station, Purdue coach Matt Painter had some interesting things to say about last weekend’s Xavier-Cincinnati brawl. He laid a considerable amount of blame on the officials working the game for allowing things to escalate to the point of on-court mayhem (“experienced officials and guys who have control of games, they handle it, take care of it early and it’s not an issue […] to me, it was avoidable.”), but he also took some candid shots at XU’s players for their physical style of play and running mouths. “Right away, from watching film, they talk. They talk a lot. That was one of the first things we talked about in the scouting report (to our players) was don’t get caught up in that. In the game, I’m talking to officials about their guys coming running on the court and (bumping into, pushing) our guys coming off a time out and the referees look at me like I’m crazy. I go back and watch the film, and it’s easy to see and they just ignored it.” Cincinnati has rightfully taken the brunt of this week’s criticism for its role in the brawl, and much of the associated vitriol with UC well predates the Mick Cronin era, but if you listen to Painter, maybe fans and media should take a closer look at how the Musketeers are composing themselves on the court too. Well, at least he didn’t shove a guy to the ground, instigate a full-on brawl between two teams, and subsequently refer to his squad as a bunch of ‘gangstas’ and talk about ‘zip[ping] ’em up” when discussing the other team. No, New Mexico State guard Christian Kabongo (cousin of more-heralded Myck, at Texas), is guilty of grabbing his crotch area twice during a recent game against UTEP and has been suspended indefinitely as a result of his transgression. Kabongo is a significant loss to the Aggies, even in the short term, as he brings averages of 16/4/4 APG to the table for Marvin Menzies’ team. Just imagine how long he’d have to sit out if he was any better. With news Wednesday that the Hamilton County (OH) prosecutor will not pursue criminal charges stemming from last weekend’s brawl between Cincinnati and Xavier, it appears that we’re finally putting this ugly incident behind us. Had charges been filed, they would have most likely come against Cincinnati’s Yancy Gates and Cheikh Mbodj for their respective punch and stomp to the face/head of Xavier center Kenny Frease. But prosecutor Joe Deters (a law enforcement name if ever there was one) said that he was satisfied that Frease’s recent outreach to Gates was met with a subsequent apology and, among other factors, his mea culpa contributed to Deters’ decision to not pursue the case. Historically speaking, US criminal law as a general rule has shied away from imposing jurisdiction on athletes during the bounds of competition, but there have been some precedents, particularly in the NHL, where that is not the case. While on the subject of legality, the NCAA‘s new rule allowing conferences to offer $2,000 stipends to next year’s recruits is in jeopardy after 97 of the 345 Division I institutions have signed a petition that will force the organization into a reconsideration of the measure at its upcoming January meetings. If 28 more schools sign the petition in the next 11 days to get to 125 institutions, then the legislation will be automatically suspended until further review or modification. Perhaps unsurprisingly, much of the support for rescission is reportedly coming from the non-BCS football schools whose budgets are far below its peers who can better afford up to a $2 million annual price tag for its scholarship athletes. As we wrote a couple of months ago when this news first came out, “this policy initiative could be another step toward the permanent stratification of college basketball between the haves and have-nots.” This petition to the NCAA from the have-nots clearly bears this out. If you’re interested in more analysis on this topic, USA Today‘s Christine Brennan skewers the idea in her commentary published Wednesday. SI writers Seth Davis and Luke Winn are going a little crazy with the “breakout” players angle this month. Recall that last week Davis published his list of 10 breakout sophomores; this week he’s decided to give us his list of eight breakout juniors (plus a mailbag). Not to be outdone, Winn comes correct with his list of five breakout seniors! If we see an article on breakout graduate students next week, we’re coming to the Sports Illustrated offices and with a sole intent of burning the place down. All kidding aside, we might have added juniors CJ Harris (Wake Forest), Chase Tapley (San Diego State) and Isaiah Canaan (Murray State) to Davis’ list, and Jae Crowder (Marquette) and Noah Hartsock (BYU) to the Winn’s. Give both pieces a read and see what you think. It is never a dull weekend in the Big East. Only this season, the basketball has been taking a backseat. At this point, even if you don’t follow college basketball, you have some idea what went on between Cincinnati and Xavier Saturday. Yesterday, both teams announced the suspensions that were a result of one of the nastier brawls in recent college basketball history. As always, the blogosphere reacted nearly immediately, and most of it was negative. It might be redundant but the national site here at RTC had an excellent take on hollow talk in press conferences that many have accused Mick Cronin of in the wake of yesterday. Bearcats Blog actually did a frame-by-frame breakdown of the actual brawl and we used it to weigh in on the penalties. So we broke it down by each player’s punishment and called it an excuse for a Morning Five. As the person who did the most real damage Saturday, it’s stunning that Yancy Gates only got six games, including just one conference game. It was in the heat of the moment and both teams were mixing it up, but whether it’s a public sidewalk or a basketball court, you can’t be allowed to sucker-punch someone in the face. Everyone saw that punch in slow motion. It was brutal, it was malicious, it was flush in the face, and it came from a man who stands 6’9” and is a chiseled 250 pounds. I am surprised he will get to play again this season. I think Cheik Mbodj deserves a little bit more sympathy and only a little bit. There is nothing more cowardly then trying to stomp on a man while he is down and then fade into the background like Mbodj did. But if you watch closely, his kick is pretty cowardly as well. It didn’t look like much. If anything, Mbodj should feel embarrassed watching himself in that video, because he did nothing until Kenny Frease was already on the ground. It was pathetic, but it didn’t seem to do any damage. It probably deserved at least ten games and the sincere public apology that Cronin is promising. Octavius Ellis is the winner of ignominious “only Bearcat player involved that no one bothered to identify yesterday” award, but he might have played a bigger role than most realize. It was Ellis that ended the first half jawing with Xavier’s Mark Lyons and those two tangled again at the end of the game with Ellis instigating. Which brings us to the real crux of this paragraph, which is, how in the world did Ellis get involved with Lyons in the first place? Cronin said the Musketeers were talking trash to the Cincinnati bench, but either Ellis has a quick temper or Lyons was going after him directly. I could be wrong, but I have never seen anyone that angry over trash-talk. He probably deserved ten games as well given how many punches he threw and perhaps an explanation we definitely won’t get. The only punishment that seems reasonable… almost, was the one given to Ge’Lawn Guyn. He was definitely provoked by Tu Holloway into the staredown that started the fracas, but it seemed non-physical until Dez Wells decked him. If Guyn had done nothing else, he might have escaped without a suspension. But he was so incensed at being blindsided he lost control. If you watch closely he is in the back being held by a coach, then he breaks free and at 21 seconds, he attacks Brad Redford who is literally the last man off the Xavier bench. He seems to keep looking for a fight and even breaks free again to aid Ellis. He got pushed, but that doesn’t mean he gets to run around picking fights with anyone in the opposing uniform. Give him two games.